The D'Addario Helicore Violin Single E Strings are crafted with a multi-stranded steel core, resulting in optimal playability while producing a clear, warm tone. The smaller string diameter provides quick bow response. Premium quality materials combined with skilled workmanship produces strings known for precise pitch stability and longevity. Premium quality materials combine with skilled workmanship to craft strings with precise pitch stability and longevity. 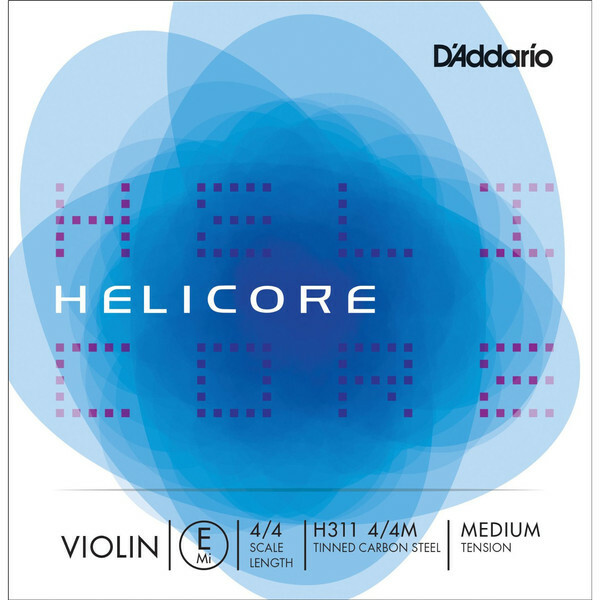 Scaled to fit 4/4 size violins with a playing length of 13 inches (328mm), medium tension strings are optimized to the needs of a majority of players.